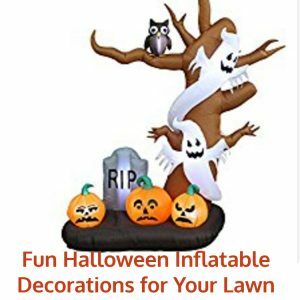 This entry was posted in Decor and tagged Halloween decor, Halloween inflatable decorations, Halloween inflatable yard decorations, Halloween inflatables, Halloween lawn decor on September 13, 2017 by Halloween Inspired. If you are looking for some fun indoor Halloween jack o lantern decorations then check out the wide variety below for some cool ways to spruce up your home all throughout the month of October. 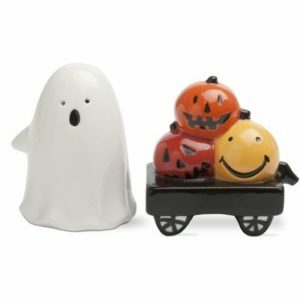 From Pumpkin shaped lamps to figurines, there are plenty of fun ways to get your home ready for the Halloween season. 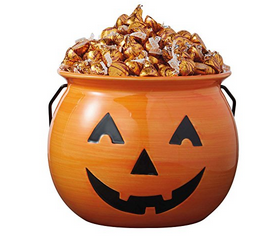 One example is this ceramic candy bowl, which is sure to add some fun to your holiday home decor. This entry was posted in Decor and tagged Halloween jack o lantern decorations, indoor Halloween Jack o lantern decorations, jack o lantern candle holders, Jack o lantern figurines, light up jack o lanterns on August 20, 2016 by Halloween Inspired.